[FANCAM] 130309 MC Bom @ #SevenThankU Talk Concert! 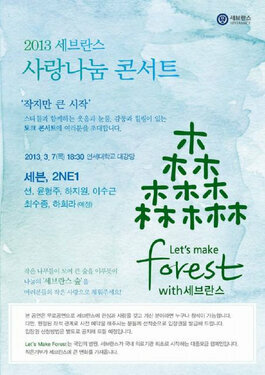 2NE1, SE7EN, and Ha Ji Won will attend the ’2013 Severance Hospital Love Sharing Concert’. As you may or may not recall “2NE1 went to Yonsei University Severance Hospital as representatives of ‘YG WITH Campaign’ in order to donate 20 Million Won for the children in the hospital” back in 2012.